Being one of the most widely celebrated festivals of India, Diwali is one of the most popular festivals on global platform. To celebrate this festival people often clean their spaces, shop for new clothes and exchange gifts. From corporate gifting to Diwali gifts for family and friends; gifting is an essential part of this festival. Although it is not a tradition but it is believed that it is the best way to exchange good wishes. So, if you too are in search of Perfect Diwali gift ideas then start exploring the options now. You always need not to stick to those heavy, calories rich, super sweet mithais to celebrate Diwali. All thanks to the new cookery innovations which have brought in the healthy option of Diwali sweets gift packs. From sugar free ice cream options to dry fruit rich sweets; there are plenty of healthy options to make this Diwali sweeter and healthier. A pack of clay puja thali with a small idol of Lord Ganesha and Goddess laxmi or a gift hamper of all diwali essentials which comprises of few diyas, diwali puja thali with complete puja samagri can also be a good choice. Pick handmade Diwali gifting to make your Diwali gift hamper more special. For instance; you can choose handmade chocolates, handmade flavored set of dry fruits, handmade pack of cookies etc. Your choice of handmade items itself is enough to make the Diwali hamper more special. It might sound strange to many but this could actually be a creative way to say that you care. A small set of organic and herbal spa kit can help your loved ones stay pampered in these long, hectic tiring days. Gift them these delights to wish Diwali in special and unique way. 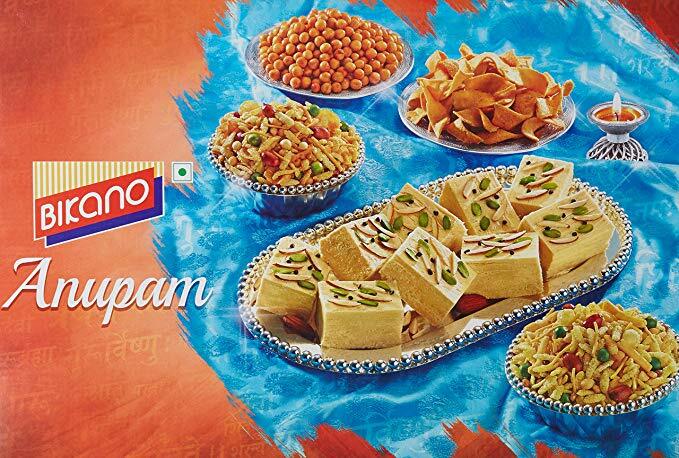 Whether it is simply a Diwali sweets gift packs or a Bikano Diwali gifts for family and friends; make sure to pick what’s new in market. Avoid the obsolete choices. Pick up something which is actually worth gifting. And this is how you make this Diwali more special for everyone.